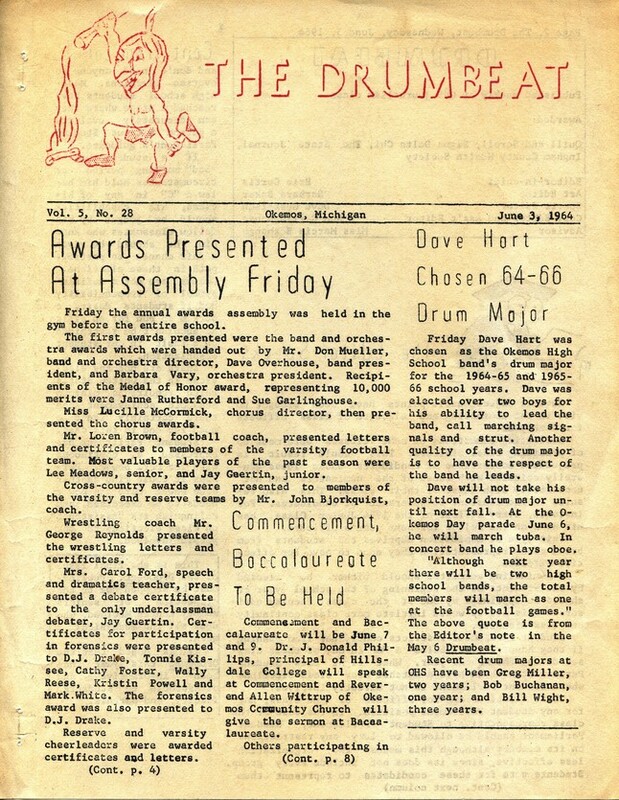 Click here to view the June 3, 1964 issue of our school paper, THE DRUMBEAT. Eric ("Herbie") Curtis was editor-in-chief--read his editorial on how class officers are nominated/chosen. This day was the last day of school for us...and we went to Saugatuck for our senior skip day. And note the number of private parties we had...during our last week of school.